Eight years ago we started our family with a furry baby. I know. You shouldn’t humanise dogs and honestly, we don’t. However, when it comes to travel we always have Tin Box Dog in mind just as we do our kids. If we’re going abroad we have to make arrangements for her to stay with relatives, and if we’re staying closer to home we search for family and dog-friendly UK holidays. The latter is often more complicated than it sounds. Many resorts and holiday providers welcome families but only offer lower grade accommodation for those with dogs. Other high-end places love four-legged friends, but would rather you didn’t bring the kids. Finding luxury family and dog friendly holidays in the UK can be laborious. However, times are changing. Holiday providers are starting to come on board with the trend for holidaymakers wanting to bring along their pets. VisitScotland, for example, has noticed there are 95 per cent more searches for ‘pet-friendly’ holidays on its website than there are for ‘romantic’ getaways. If you are in the same position as us – wanting to holiday with your children and pet without slumming it – I’ve been doing some research. Here are my suggestions for top-notch places to stay that will be a hit with your whole family. Scroll to the end for more tried and tested family and dog-friendly holidays as recommended by us! The Valley Cornwall is a gated resort offering luxury cottages with lots of facilities for the exclusive use of guests. This is a place we have stayed ourselves and can highly recommend as having a luxurious feel without any awkwardness that you’re there with the kids and pooch. Each cottage is styled with Italian furnishings, and the cottage we stayed in even had vaulted ceilings. 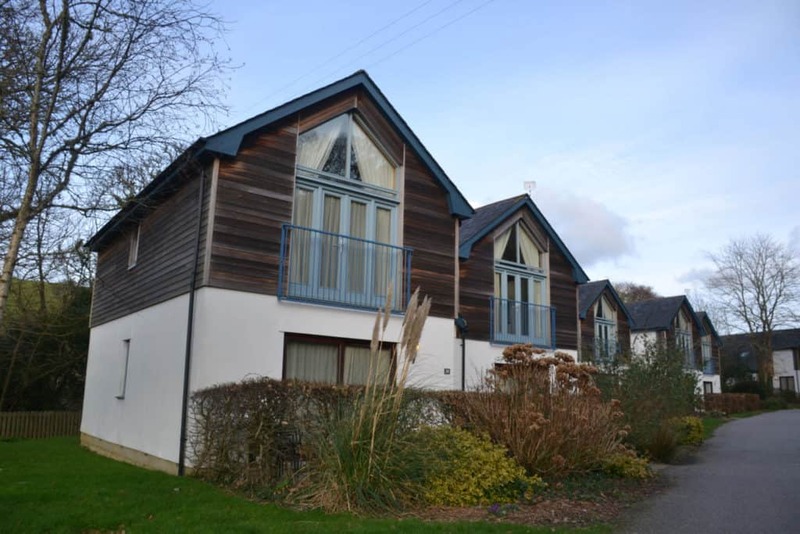 Accommodation ranges from two to three-bedroom cottages, sleeping up to six people each, so The Valley Cornwall is a good option for larger families. Luxury features include good free wifi, plus baby-sitting and maid service for an extra charge. The Valley Cornwall is perfectly situated for exploring South Cornwall’s family attractions, dog days out and beaches. Dog-friendly features: dog walk on-site, dog-friendly cottages, and a great location to explore. Read our full review of the luxury cottages at The Valley Cornwall. What better location to treat your dog, and little people, to epic landscapes and hikes than the Peak District? Here is where you’ll find the Darwin Forest Country Park lodge resort nestled in a woodland setting. We stayed here with Tin Box Dog one spring. The luxury self-catering lodges come with Scandinavian styling, free wifi, and some are even lodges with hot tubs. There’s a forest walk for dogs and endless opportunities to stretch their legs beyond the resort. Plus, there’s plenty of activities to keep kids entertained, like the indoor swimming pool, cycling, tennis, archery and zorbing. For younger children there’s two on-site soft play areas – one large and included in your stay and another where you can pay as you go. Perfect if the weather isn’t with you. Dog-friendly features: dog walk on-site, dog-friendly cottages, and a great location to explore. Read more about the luxury lodges and and lodges with hot tubs at Darwin Forest Country Park in our review. You can find The Four Seasons Hotel on the banks of Loch Earn in St Fillans – a wonderful area for walking. The restaurant is two AA Rosette award winning and serves contemporary Scottish cuisine. 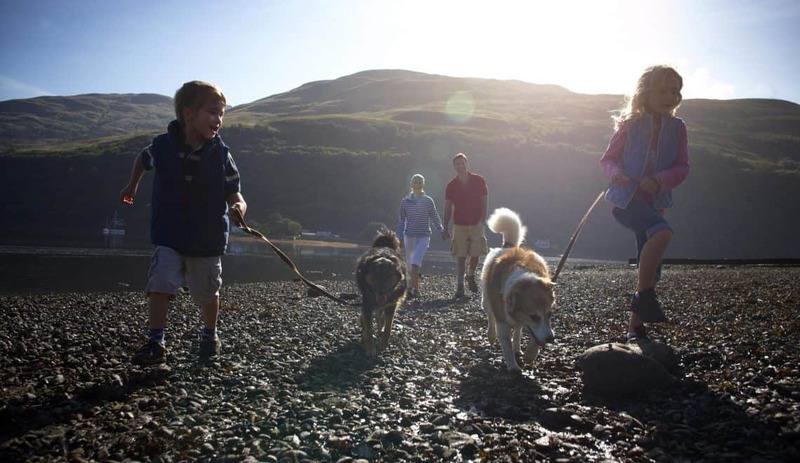 Families with dogs are welcome in the main hotel or its six secluded chalets. I particularly like the look of these little log cabins in the woods which come with all the mod-cons of a hotel as well as baby monitoring. Children under three stay for free and kids aged three to 11-years-old are charged half price for bed and breakfast. Dog-friendly features: a pet concierge, pet menu, walking and grooming services. Book The Four Seasons Hotel*. This collection of luxury lodges is surrounded by fields and woodlands as the name would suggest. Families and pets can luxuriate in the park’s Deluxe range of lodges which include state of the art kitchens, a free-standing bath, outdoor seating and a hot tub. Between the bath and tub I think I’d be going very wrinkly. Visit in Spring and you can take a wander through the park’s very own bluebell area. The Dream Lodge Group also has dog-friendly lodges in Berkshire, Cornwall, Cambridge, Devon, Essex, Norfolk, and Suffolk. If you’re looking for more luxury family holiday parks in the UK then take a look at Forest Holidays. The luxury cabins here are set in a glorious woodland meadow, deep in the heart of Cropton Forest. Not only are the North York Moors on the doorstep, walkies can literally start right at your cabin door. The top spec Golden Oak cabins come with fluffy robes, a hot tub, an en-suite in the master bedroom, under-floor heating and eco-friendly toiletries. You can even book in-cabin spa treatments. 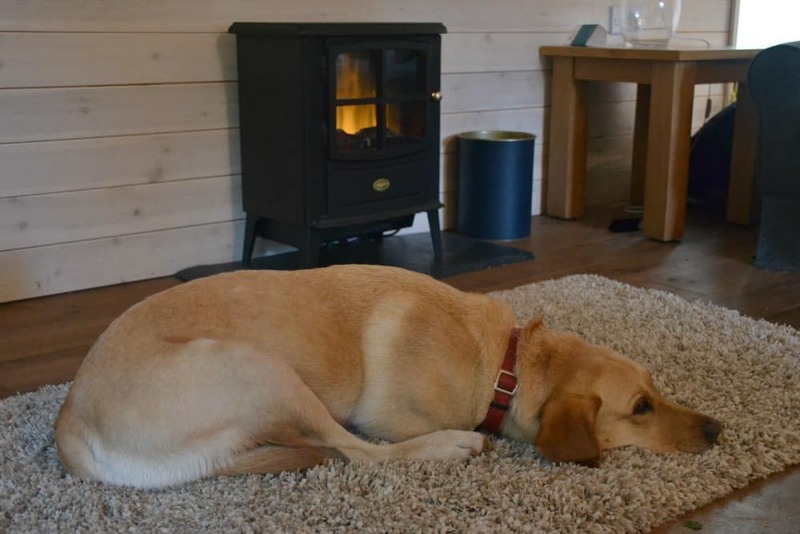 Forest Holidays have dog-friendly cabins in Forestry Commission owned woodland in nine locations across Cornwall, Gloucestershire, Hampshire, Norfolk, Nottinghamshire and Scotland. These luxury apartments are set in a medieval close off the world-famous Royal Mile and are a short walk from the Princes Street Gardens, with access to plenty of walks. Everything about these serviced apartments is five star, from the beautifully styled interiors to the drench showers and GHDs available from reception. You can also order Valvona & Crolla breakfast and dine in boxes if you don’t fancy catering for yourself. Dog-friendly features: dog bedding, ‘poop bags’ and doggy treats. Book the Old Town Chambers*. This characterful converted cart house is one of many dog-friendly luxury holiday lets available through Snaptrip, which specialises in last minute cottages. This two bedroom property can accommodate up to six people and boasts exposed beams, a farm house style kitchen and stunning views. Close by there’s two beautiful beaches and the Brecon Beacons for stretching dog and human legs. Features to keep the whole family cosy and happy include a wood burning stove, wifi, all the mod cons and 3/4 of an acre of natural woodland grounds. Snaptrip has properties across the UK. This historic hotel welcomes children and pets with dedicated garden rooms and activities aimed at families during the school holidays. Kids receive a goody bag with games, duck food and a soft toy. Each room comes with an Espresso machine, Molton Brown toiletries and wifi. There’s also indoor and outdoor pools, complimentary bike hire and a babysitting service. The treasure hunts in the hotel grounds sound like a lot of fun. Dog-friendly features: maps of walking trails, healthy meals from non-GM and additive free Arden Grange pet foods, dog baskets, blankets, a bowl and chewy toy. Dogs stay for £25 per night. Book Tylney Hall Hotel & Gardens. This Victorian country house hotel overlooks Stourport-on-Severn. The family rooms have recently been given a facelift and can accommodate up to two adults and two children. Stourport Manor offers families use of an indoor swimming pool, wifi and 23 acres of grounds. It’s also close to some of the Midlands’ top family attractions like West Midlands Sarafi Park and Severn Valley Steam Railway. Zoos and railways are always a hit with our girls. Hallmark offers a collection of 28 hotels across the UK. This award-winning set of three converted barn cottages are located in an area of Outstanding Natural Beauty just four miles from the spectacular Jurassic Coast World Heritage Site and The South West Coast Path. There are also beaches close by at Beer, Branscombe and Sidmouth. The cottages are stylish and comfortable with Egyptian cotton sheets, 6’ wide double beds and under floor heating. On site there’s a games room and an outdoor heated pool which you can book for exclusive use. One barn also comes with its own cinema room – perfect for family movie nights! Baby equipment is also available. Premier Cottages has properties across the UK and Ireland. These two stylish cottages have been converted from a listed 1820’s stable block just seven miles from Stirling. Each cottage has its own private fenced area amongst the five acres of secluded grounds to keep pets safe. Human guests can enjoy the hot tub, Netflix and shared play area for children. There’s also a swimming pool. Dogs, cats, hamsters and other pets are all welcome. Embrace Scotland lists more than 2,500 properties. Dog-friendly features: water bowl, suitable disposal equipment (poop bags), a pet welcome snack, as well as designated pet towels, throws and vet details. Book Antonine Wall Cottages*. The traditionally styled Victoria is part of the Holkham Hall Estate. It’s renowned for its wonderful locally sourced food and offers a children’s menu or smaller portions of the adult meals for the more adventurous. Doggy visitors will love that it is only a short stroll to the golden sands of Holkham Beach and the Kennel Club award-winning Beach Café which has a Wash ‘n’ Wag dog wash for sandy pooches. The Victoria offers a spacious two bedroom attic for families with pets. Dogs are also welcome in the rest of the rooms in the main building. 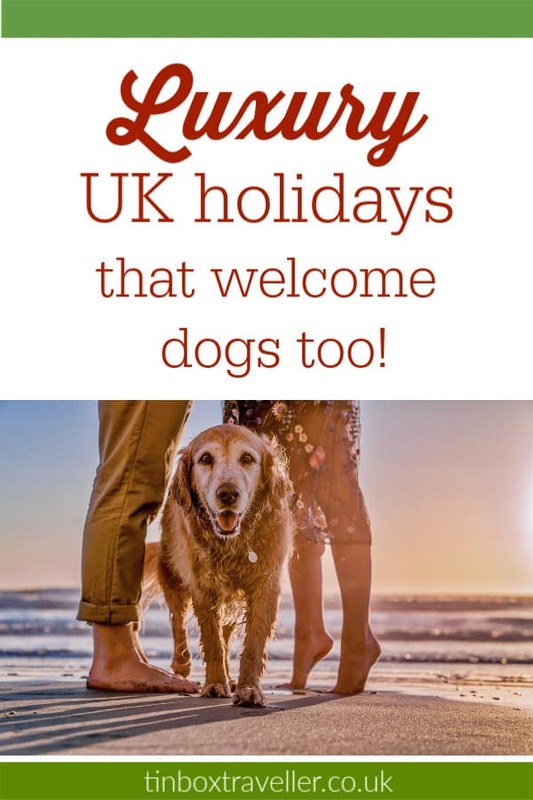 Search for more dog-friendly holidays for families on Booking.com*. We’re been adding to our reviews of the best dog-friendly holidays in the UK. Here’s a few you might like to check out with your kids and hound. Please note that this list includes places we have be invited to stay and review for the blog. We may have received free accommodation in exchange for coverage on the blog, but we were not paid. If you’d like to try some dog-friendly holidays in France Dais Like These has some personal recommendations for you. Do you have a favourite spot to holiday with your pet? If so, I’d love to hear your recommendations! Disclosure: this post contains affiliate links marked with a *. If you click on these I may earn some commission on any purchases you make. This does not affect the price you pay. Main image courtesy of Forest Holidays. All others as attributed. Looking for luxury family and dog-friendly holidays in the UK? Pin this post for later! I was really impressed with the variety of places and locations. We often holiday in our own caravan so we don’t have to worry about whether or not our dog is welcome. But this bit of research has got me thinking differently about how we holiday. It’s always lovely to be able to take them with you, isn’t it?! We have a collie, Betsy, and she’s a big part of the family. We haven’t holidayed abroad for 8 year and that’s partly because of the dog. We are big fans of ‘staycations’ anyway, but it’s just easier to have a holiday with the dog than make arrangements for her to be looked after by someone else. 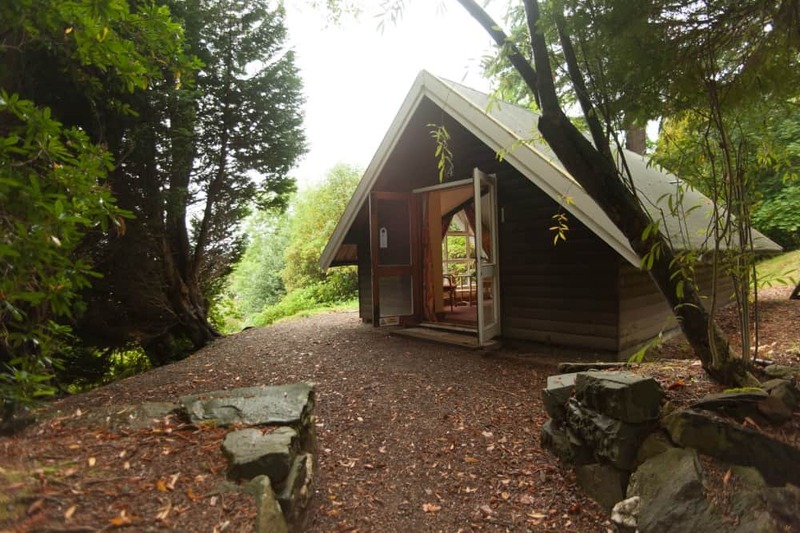 We stayed in a Forest Holidays lodge last year actually (in Scotland) and took her with us – one of the best long weekend breaks we’ve had! Ridiculously, though our dog is now seven years old, we’ve never taken him on holiday with us. If we go to my parents’ house he comes, otherwise he tends to stay with my mother in law or my mum. These all look like great options! I want a dog now just so I can have a legit reason to go to one of these places. Oh that Scottish cabin looks divine! Sally recently posted…What do Tween Girls do on Instagram? Hi Claire, I wish I’d found this list earlier! Very useful. I’ve been having mixed success searching for dog-friendly cottages on airbnb. We’ll be checking out these luxury hols very soon! Thanks!! Hi Claire. I wonder if huskies be welcome to Old Town Chambers, Edinburgh. It’s always worth asking them. I wouldn’t class a husky as a huge dog. These look like amazing places to stay dog or no dog! Are these just for dog owners? Thanks for the post!